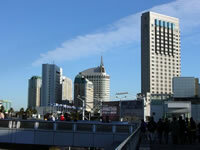 The downtown of Chiba city is around Chiba station, Chiba Chuo station, Hon-Chiba station, and the Makuhari area. 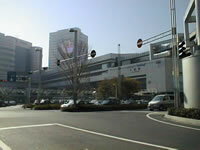 The downtown includes the Chiba Urban Monorail, office buildings, banks, and department stores. Central Park is used by the citizens for recreation and various events. About eight thousand of fireworks will be displayed in the event.